Voice-enabled digital assistants like Alexa and friends do chores on command, never make a mess and ignore you only occasionally. Can you say that about anybody else in your household? Here’s how to get the most from your machine. The other day my college-age son and I were in the kitchen. He was staring into the silverware drawer, bemoaning our ragtag collection—not enough forks, too many spoons. Yes, I agreed, we have a surfeit of spoons. Fortunately, Alexa agreed with me. But we had discovered yet another use for these voice-driven digital devices: fact-checking Dad. Gadgets like the Amazon Echo, Google Home and Apple HomePod can do a lot besides keep parents honest. Thanks to advances in artificial intelligence and natural language processing, they can understand a wide range of voice commands and engage in human-like exchanges. Once they hear the magic words (“Alexa,” “OK Google,” “Hey Siri”), they can set timers, give weather reports, read the news, manage your calendar, make phone calls, estimate commute times, create grocery lists, lock your doors, operate other smart devices in your home and a lot more. Ask your virtual assistant for a chicken recipe from Family Circle or kick it old-school and look up this five-star version online: familycircle.com/ citrus-tequila-chicken-thighs. But how well they do these things varies wildly. A lot depends on the kinds of services you’ve subscribed to, what other devices you own and where you live. I’ve spent the past month living with several of these gadgets (and with some a lot longer than that). After a while, they become less like inanimate objects and more like nerdy roommates. 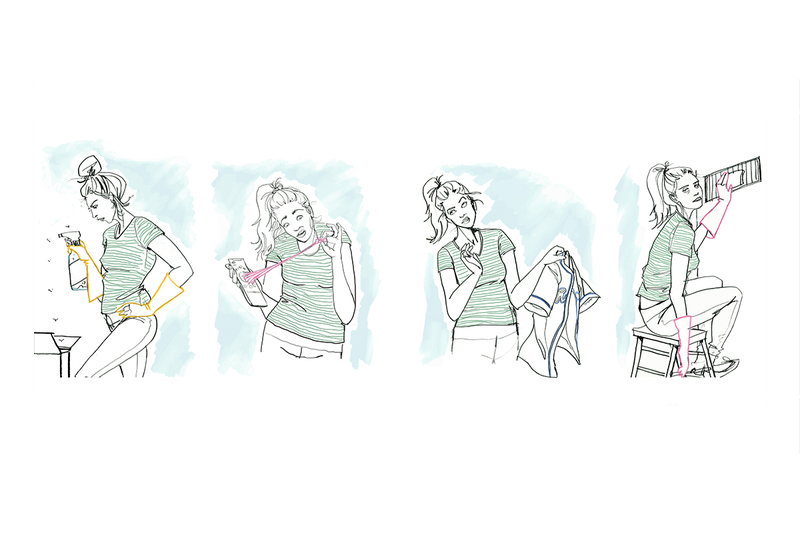 They can be incredibly helpful, deeply frustrating and highly amusing—sometimes all at once. In other words, they’re a lot like teenagers, but less messy. Here’s what it’s like to have a voice-enabled assistant as a roommate. Alexa, what should I make for dinner? I enjoy cooking, and my family loves to eat. What I don’t love is planning meals, which is why the Echo Show has become my indispensable kitchen companion, despite its relatively high $230 price tag. 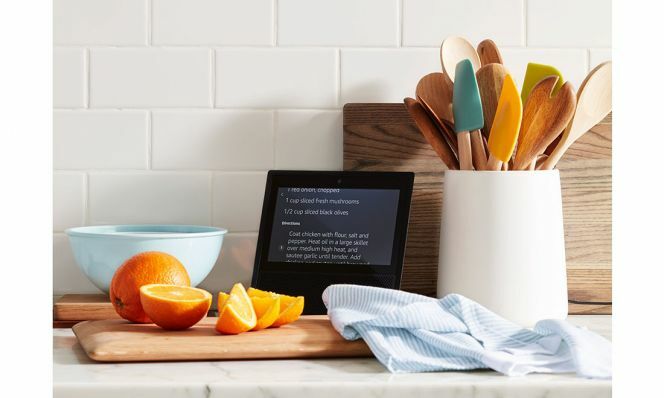 When I ask for dinner ideas, Alexa shows me 25 mouthwatering recipes side-by-side on her 10-inch color touchscreen. I choose Easy Paella, and she displays ingredients, step-by-step directions and a five-minute video on how to prepare it. If I had a connected oven from GE or Jenn-Air, I could also tell Alexa to preheat it to the appropriate temperature. reciting ingredients and instructions, one unappetizing step at a time. Still, that’s better than Apple HomePod’s Siri. When I asked her for help with dinner, she just glowed thoughtfully for a few seconds and said nothing. Apparently, she’s on the air-and-water diet. There are other perks. One day I found my son standing in front of the wok, holding a spatula and studying a video on our Echo Show of Gordon Ramsay making a chicken stir-fry. Thus uncovering another unexpected benefit: cooking lessons for the kids. Besides playing digital Julia Child, voice devices also let you do hands-free grocery shopping. But here they’re not quite as slick. For example, when I ask Alexa to show me a recipe, then tell her to “please add those ingredients to my shopping list,” she shrugs her virtual shoulders and adds the word “ingredients” to my list. Not helpful, lady. There are ways to work around this. A few nights ago I was planning a Thai-food dinner party and didn’t have time to hunt down the groceries I needed. So I used Alexa to shop for me. This wasn’t entirely hassle-free. I still needed to add each item to my Whole Foods shopping cart, review what Alexa selected on my Prime Now app and complete the transaction from my phone. But it was easier than schlepping across town. Two hours later the food was on my doorstep. RELATED: Is It Time to Cut the Cord on Cable? Siri doesn’t offer any shopping services. But frankly, it’s easier to shop using an app or website than with voice commands. 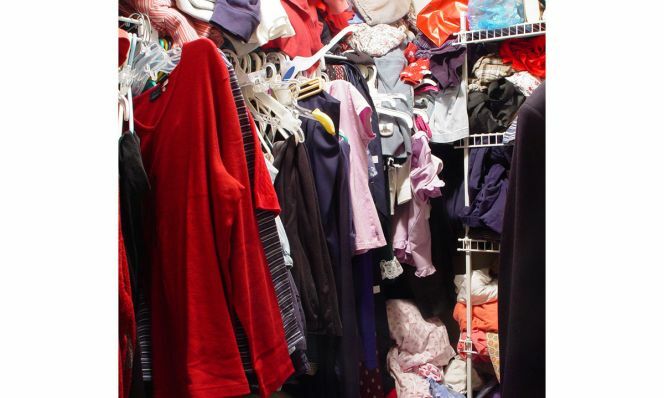 The exception is when you need to add basic household goods to your shopping list or simply order them on the spot. That’s why my kids occasionally hear me shouting, “OK Google, order more toilet paper,” from inside the bathroom. Voice-activated gizmos are always listening for a “wake” or “hot” word (like “Alexa”) so they can perform their magic. But that doesn’t mean Amazon, Apple or Google is spying on you. All these devices analyze your recordings locally. When they hear the wake word, they send that audio to the cloud for processing and storage. If they don’t hear the wake word, they discard the recording. You can listen to your Alexa voice recordings in the Alexa app (under Settings, select Alexa Account, then History) or inside your Amazon account. You can listen to your Google recordings via the Google Home app (under My Activity) or your Google Account. In both cases, these recordings are kept until you delete them. HomePod’s Siri works a little differently. Apple associates your recordings with a randomly assigned ID number and stores them for six months, then assigns them a new ID. You can’t listen to individual recordings, but if you want to erase your voice history and start over, you just turn Siri off and then back on. All these devices light up when they think they’ve heard the wake word, and Amazon and Google provide buttons for turning off the microphone; Apple does not. If the idea of digital eavesdropping makes you uncomfortable, you can mute the mic or simply unplug. But that would negate the main reason people use these things: hands-free access to the Internet and connected appliances. And just imagine what Alexa would have to say about that. Because all these gadgets are essentially fancy speakers, many people still use them mostly to play music. Given Apple’s long history with digital tunes, it’s not surprising that the HomePod is the biggest party girl in this crowd. When I tell Siri, “Let’s get this party started,” she launches a lively up-tempo playlist. I say the same thing to Google Home, and she responds with “Ooh, I love a party. It’s a chance to really let my algorithms loose.” When I asked Alexa for party music, she offered up—I kid you not—an oompah band playlist. While the HomePod offers the richest sound, Amazon’s and Google’s top-of-the-line models—the 9-inch cylindrical Echo Plus and the shoe-box-sized Google Home Max—also provide enough audio oomph to fill your living room. But all of them work a lot better when you pony up $5 to $15 a month for Amazon Music Unlimited, Google Play Music or Apple Music. The last two let you personalize your music selection by selecting your favorite genres and artists. Google goes further by allowing up to six voice profiles, so my son and daughter can have their own personalized playlists without having to listen to Dad’s collection of disco classics. You can also request music by artist, song or album title, genre, mood or activity. If you have multiple devices in different rooms, you can sync them (the technical term is a “speaker group”) so they all play the same song at the same time—also great for parties. Overall, the HomePod and Siri did the best job of personalizing my music, introducing me to songs I loved from artists I’d never heard of, as well as songs I’d never heard of from artists I love. Rock on, girlfriend. Alexa, where is my daughter? The other day my 19-year-old asked if she could host a birthday party for her best friend—and made it extremely clear Dad was not invited. I said, sure, no problem. When she’s out of the house, I can ask Alexa to use the Life360 app on her phone to track her location. If your teen has an iPhone running iOS 12, HomePod will let you access the Find My Phone app to see where she is. It’s not that I enjoy spying on the kids. But whether you’re trying to keep tabs on your teens or reduce the world’s supply of nuclear warheads, the same philosophy applies: Trust but verify. 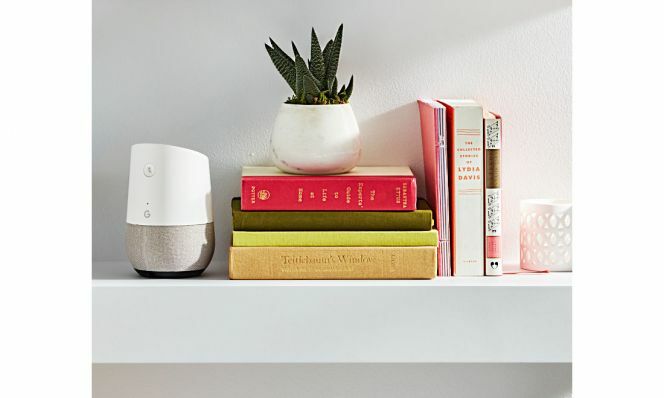 Both Alexa and Google connect to our Vivint Home Security System, as well as scores of other systems, locks, cameras and sensors. (HomePod also lets you control about a dozen security systems and devices.) I can use my voice to remotely lock the front door, check if windows are ajar and close the garage after my son leaves it open for the 17th time this week. Here’s what it will cost you to have voice-activated technology in your home. In some ways, these devices are the smartest members of our household. Anytime anyone has a question about anything, we ask Alexa, Google or Siri. We use them to settle arguments, like the one my daughter and I are currently having about whether it’s legal to record video of her party. We play trivia and stump the band, trying to come up with obscure songs the devices don’t know. (We have yet to succeed.) They even tell jokes, albeit really bad ones. Not that any of them are perfect. I sometimes need to enunciate carefully and rephrase things in different ways to get a response—like talking to someone with a hearing impairment and a poor command of English. Sometimes I ask a device in my home office a question and get an answer from the one in my kitchen. Sometimes I get no answer at all. And occasionally Alexa will respond to Siri or vice versa, with no prompting from me. It’s freaky. At the same time, I can’t imagine life without them. I use my Alexa devices several times a day. When the kids finally leave the nest—altogether too soon, I fear—at least I’ll have someone to talk to. When the kids were little, one of our favorite family activities was movie night in front of the big screen. It still is, only now we’re even bigger geeks about it. Using Google Home, I created a “routine” (Apple calls them “automations”) that, with a single voice command, dims the lights, turns on the TV, dials up Netflix and launches the popcorn maker (a normal device attached to a Wi-Fi-connected outlet). If you’ve got a Google Chromecast—a silver-dollar-sized dingus that streams media from your phone or home network to your TV—you can simply tell Google Home to “play Stranger Things on Netflix” (or any other program) and it will launch the show wherever you left off. Stringing sequences of events together like this is the real reason for owning smart devices. Both Alexa and Google come with a handful of prefab routines that make it easy. When I say, “OK Google, good morning,” she’ll announce the weather, estimate my commute time, recite my calendar appointments and give me the news. So instead of locking all the doors and windows and turning off the lights every night—the standard Dad routine—I simply say, “Alexa, goodnight,” which tells her to do all those things. Then I go back to watching Netflix.